We help clients by providing mechanical engineering design services & solutions across the oil and gas industry to innovate and adapt to challenging environments. We provide mechanical engineering design services for the Oil & Gas industry, in USA, UK, Canada, Australia and the Middle East region. We have been a trusted partner for some of the world’s largest oil and gas companies which include EPC contractors, process package manufacturers, shipyards, rig operators and OEMs. With more than 10 years of work experience, we deliver product and process engineering design solutions to upstream and downstream oil and gas industries. 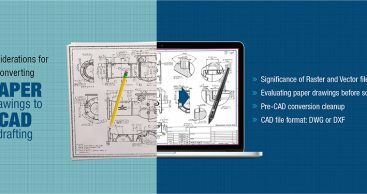 We are providing CAD design support for creating As-Built drawings, in cases where there is a delta between the engineering documentation on hand and the actual facility. We are also specializing in mechanical engineering design support services such as 2D to 3D conversions, CAD Drafting, CAD migrations, 3D CAD models design and generation of fabrication drawings. We provide robust detail mechanical engineering design solutions for the production, drilling, storage, transportation, and refinement segments. We help customers in a variety of areas including process engineering, piping layout, pipe stress analysis, mechanical design and civil and structural design engineering services. We are trusted by the world’s leading oil companies to provide advanced mechanical designs for fixed and floating systems, production platforms, MODUs, refineries and petrochemical plants. Our industrial designs strictly comply with global oil and gas regulatory standards and our first-time-right solutions are tailored for ease of fabrication taking into account various yard constraints. Upstream Segment: It covers preparation of 2D / 3D structural drawings, mechanical equipment design – static and rotating, accessory system and plant design, tool design and FEA / CFD based validation. Midstream and Downstream Segment: It covers developing 2D detailing / 3D modeling of equipment, piping isometrics, GA drawings, equipment layout, plot plans, pipe stress and flexibility analysis, pipe support design, layouts & specifications, piping detailed drawings, FEA based stress analysis – thermal and structural stresses for mechanical equipment. We provide flexible mechanical design solutions at optimum cost with quick turnaround time and to help our customers meet their business objectives consistently and cost-effectively.